Home / Whole Food Kitchen / Healthy Ingredients / Redmond Real Salt – 10oz. 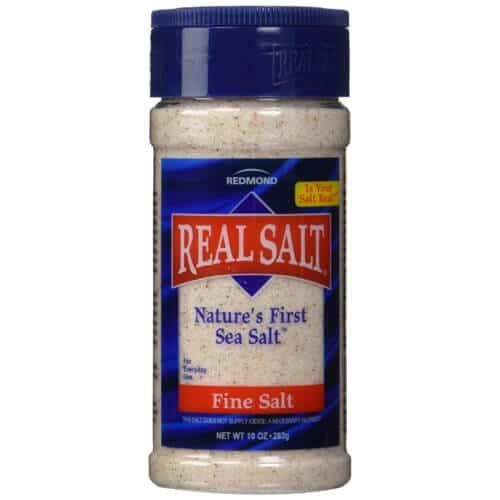 Real Salt® brand sea salt is exactly the way nature made it–unlike most other salt companies, nothing is added and nothing is taken away. The result is a natural sea salt with more than 60 trace minerals, a unique taste people love, and reports of health benefits around the globe. Real Salt is an all natural unrefined sea salt harvested from an ancient ocean bed in Redmond, Utah. It’s full of those natural minerals that make it healthy, delicious, and pink or red looking. It is gluten free and contains no anti-caking ingredients. Contains a trace amount of iodide.